Need some help, looking at different things for my PT, wheels wise, but I need my wheel specs. It seems 15in wheels is not enough information for some of the wheel vendors I am talking with. There's lug patterns and such. Any in would be helpful. I tried to find it in my owners manual and on the Chrysler website, but couldn't. You can pick them up when you buy you wheels or ebay has them pretty cheap. I spoke to the dealer when I first purchased the car and I wanted to have the wheels changed over to the Sebring's chrome wheel, but they told me they wouldn't fit. They then told me that if I purchased aftermarket wheels I should wait till my warrantee was up. That changing over my wheel could cause problems with the suspension if they were the "wrong fit", which would void the warrantee. So I have been waiting to find something I liked in the way of wheel, due to the cost, I had better love what I got or my wife will have something to say! Good thing I waited, within the first two years both control arms had to be replaced...still under warrantee thank goodness! 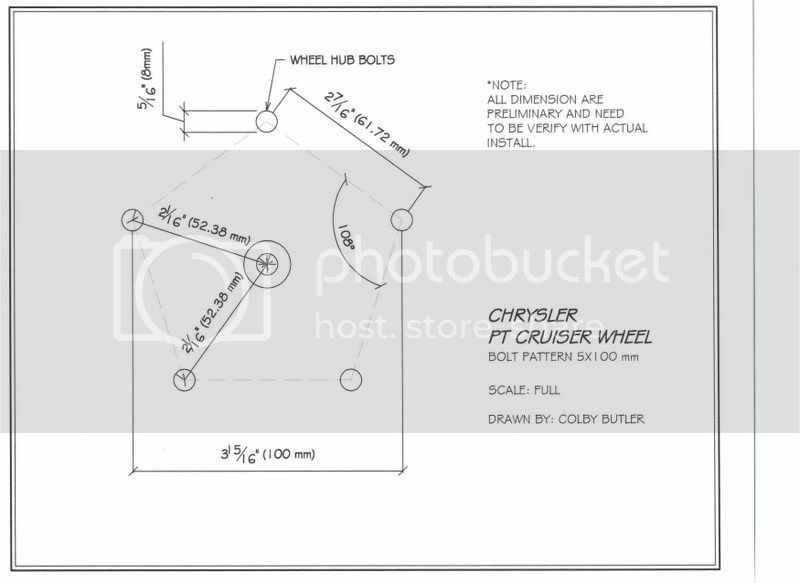 Yeah, the sebrings have a 5 x 114.3 bolt pattern...with the exception of the convertible (I believe). I have never heard of aftermarket wheels voiding your warranty....but I guess it depends on your dealer.. I have had aftermarket wheels on mine for the past three years and haven't had any issues because of it..(other than a rougher ride with the 17's) As long as you get the right offset you shouldn't have a problem. Tire Rack.com has all the specs if you enter you year and model. If you stay within the range of 35mm to 45mm I don't see you havng an issue. If I were buying new wheels and tires again, I would opt to go with 16's. the ride is a little better since you would have more sidewall..Like I said with 17's, and lowering springs I have to avoid bumps...HOWEVER, I can take corners REALLY fast..and I do like that. Plus the lowerng springs get rid of the massive gap between the tire and the fenders..
Agree PTD2 - also with 16", tires are cheaper and there's a bigger selection. I have Michelin Hydroedge, and you can't get them in 17".